Cello students at the Eliason School of Music in southwest Portland have successfully applied the Goldilocks Method, an innovative way of learning to play the violin. Initially, Brian Eliason, the school founder who designed the Goldilocks Method, was not sure if the techniques would work for cello as well as it has for the violin. The main concern was the difference in size between the two instruments. Applying the first of the seven keys in the Goldilocks Method would involve the bow hold, which is different for a cello player compared to a violin player. “You can imagine the cello is like a large treasure chest with seven keyholes in it," said Eliason. As it turned out, his cello students were having fun using the Goldilocks Method and became more eager to practice. The Goldilocks Method was designed a decade ago to allow students to learn violin at a faster pace and have fun at the same time. Eliason explained that it could be very effective for kids to learn when one connects with their minds in a childlike way. "Everyone knows the Goldilocks story, and it is fun for students to take the wisdom taught in the story and to apply it to their cello playing," he quipped. 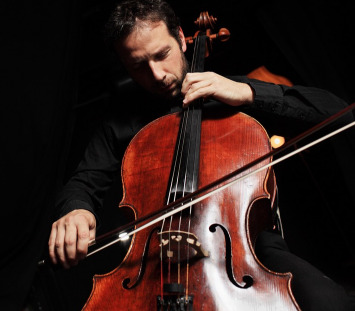 While the method also works for more advanced and adult students, Eliason warned that adults could easily overthink playing the Cello and make it more difficult by blocking themselves. Brian Eliason is now planning on creating a new version of his book that is designed specifically for Cello. It will likely be an Ebook, and it will have illustrations, pictures, and lessons that will allow for easy incorporation at home. In the future, there is the added goal of creating videos to help with the method as well.